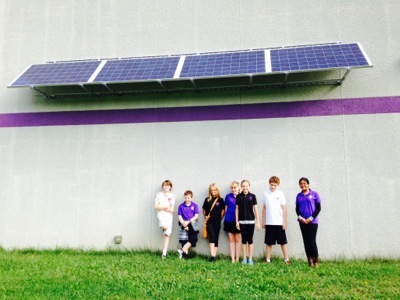 On Cass Avenue in Darien, Illinois (just off I-55) there is a new solar school installation at Eisenhower Junior High School. Robert (Bob) Carlo is the primary contact. 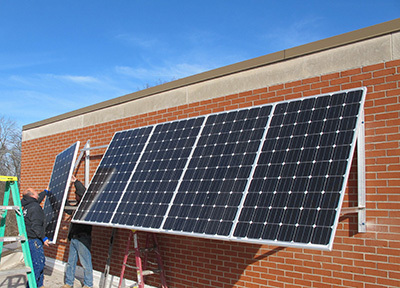 Illinois Clean Energy Community Foundation funded the solar school installation with a 90% grant that covered 90% of the total cost of the project. 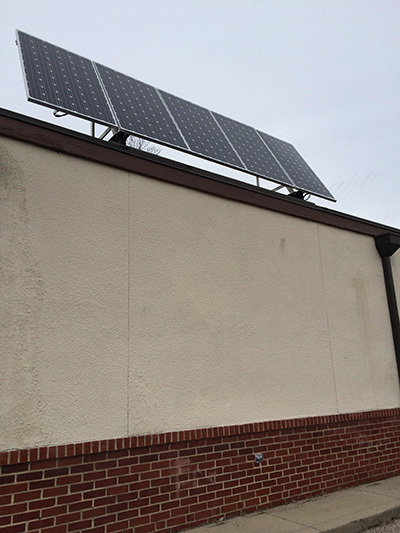 ReneSola donated 4 of their 250 watt PV panels through the Brian David Robertson Foundation (BDR Foundation) to help with the school’s 10% share of the cost. The solar panels are tied to a 4 Enphase micro inverters and the Enlighten Data system and the amount of electricity generated by this system of PV Solar Panels + Inverters can be seen at the <a href=”http://www.illinoissolarschools.org/solar-schools/darien/eisenhower-junior-high.php”>IllinoisSolarSchools.org</a> web site. 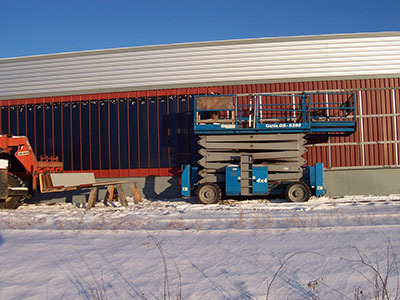 The panels are clearly visible to the students and to parents and the entire neighborhood as they were installed awning style on a south-facing wall near one of the entrances to the school. There are 571 students at Eisenhower. 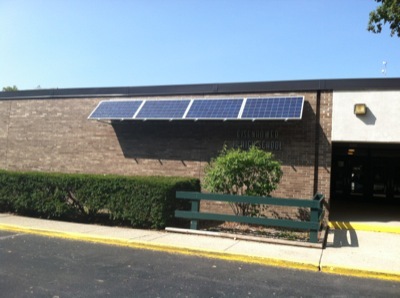 On North Christiana Avenue in Chicago, Illinois, there is a new solar school installation at <a href=”http://www.illinoissolarschools.org/solar-schools/chicago/mary-gage-peterson-elementary.php”>Mary Gage Peterson Elementary School</a>. Ms Karla Holcomb is the primary contact. 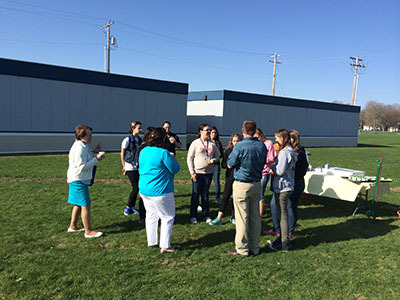 Illinois Clean Energy Community Foundation funded the solar school installation with a 90% grant that covered 90% of the total cost of the project. 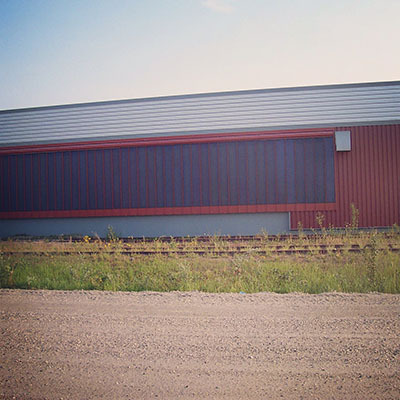 Canadian Solar donated 4 of their 250 watt PV panels through the Brian David Robertson Foundation (BDR Foundation) to help with the school’s 10% share of the cost. The solar panels are tied to a 4 Enphase micro inverters and the Enlighten Data system and the amount of electricity generated by this system of PV Solar Panels + Inverters can be seen at <a href=”http://www.illinoissolarschools.org/solar-schools/chicago/mary-gage-peterson-elementary.php”>Mary Gage Peterson Elementary School</a>. 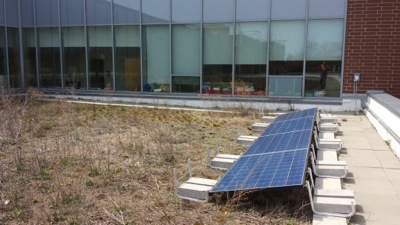 The panels are clearly visible to the students as they are installed on a green roof of the school right outside classroom windows. There are 845 students at Peterson. It was 8.30 am on Earth Day and there were a bunch of students, teachers and visitors standing outside at the Jefferson Middle School all looking up at the sky. Everyone was watching their new wind turbine turning in the wind and generating clean renewable electricity. 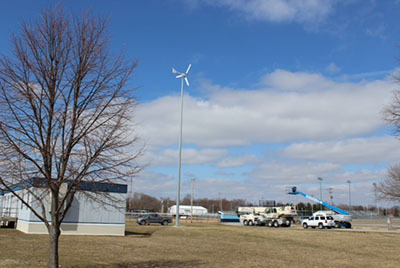 The wind school project, funded in large part by a grant from Illinois Clean Energy Community Foundation was finally up and running and working perfectly. 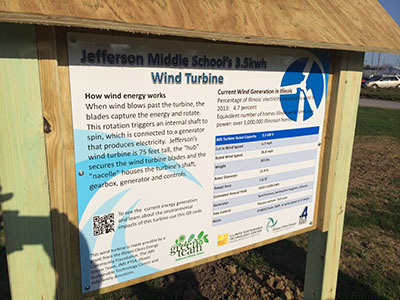 The school also received grants from the Jefferson Middle School Green Team, Illinois Sustainable Technology Center and the Jefferson Middle School PTSA as well as Jefferson Middle School family donations. 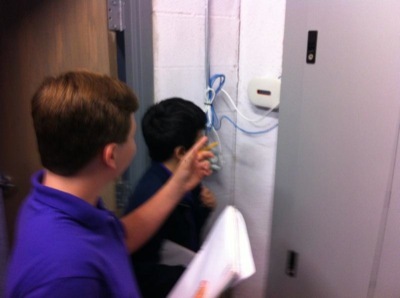 As with any project like this at a school there are a number of champions who guided the project through its various stages. For me, that champion is Geoffrey Freymuth, Jefferson Middle School Science Teacher. He led a team of Jefferson Middle School administrators, teachers and students, but he was the team leader. 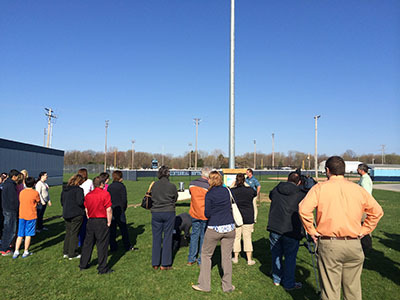 The Champaign School District is one of the greenest in the country and they were definitely on his team but the person who was watching over and guiding and worrying about this project was Mr Freymuth. Let me say that the qr code may have been easy but this project took a lot of hard work from a lot of people and I want to congratulate them on their successful project.